The cab tractors T-150 closed, security, skeleton, there are two seats with ventilation and heating and thermal and sound insulation. The cab is equipped with pneumatic wipers front and rear sight glasses, a switch window washer, thermos, first aid kit, sun visors, rearview mirrors, tool box, rubber mats, ashtrays, air-heater. Also provided in the cabin space for mounting the fire extinguisher shovels and with the bracket. sprung driver's seat adjustable in weight, increase in driver with hydraulic shock absorbers and the backrest angle regulator with naklona.Kapot and wings are made entirely of metal, with the ability to open sidewall and detachably radiator grid. 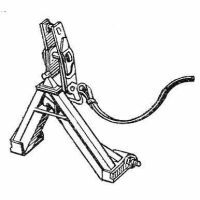 T-151 regards tractor attachment device 156, 151k, since it represents the hinged-lever mechanism, with the changeover to enable hanging shells at two or three-point schemes. Maximum load capacity reduced to suspension axle is 3200 kg.